Anatoli Levine is Director of Product Management for Developer Tools Business Unit (DTBU) at Spirent Communications, responsible for developing strategy and product roadmap for the new M2M and IoT segment for enabling products for developers. Anatoli is also responsible for the portfolio of enabling technology products (WebRTC, VoLTE/RCS, SIP, IMS and many others) for developers of Unified Communications solutions. 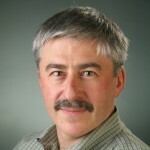 Since 2006, Anatoli is a President of International Multimedia Telecommunications Consortium (IMTC) – an organization facilitating interoperable implementations of multimedia communication technologies based on the open standards. Anatoli is a frequent speaker at various IoT and IP communication industry events and conferences, covering subjects of M2M, IoT, WebRTC, VoLTE, RCS, standards and interoperability. He contributes to the Spirent and IMTC blogs. Prior to Spirent Communications, Anatoli was Director of Product Management for Radvision, an Avaya company and prior to that, he lead the technical team providing engineering services and support for Radvision Technology products.